If he did he’s probably hiding under your bed. Or he lived out his life in South America. There are many people here who supported him and would have helped him. Many Nazis were known to have done exactly that. Good for him! Go Hitler! She isn’t running this year. You deal with it. You’re the one cryingaboutit. By the way, I don’t believe Hitler survived for years in hiding in South America. I just find this man’s first hand account very interesting, and I’m open minded to the possibility that it’s true. 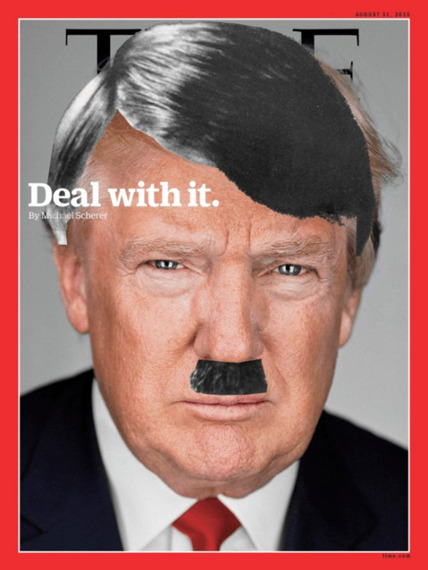 I doubt Trump will be another Hitler, but only because I think he’s too stupid. and I’m open minded to the possibility that it’s true.